If you�re looking for an ultra-stylish pair of shoes that is all about fashion statements, then get your hands on the new Trotters Jamie! Striking the perfect balance of comfort and class, this pair of shoes is fit for formal, semi-formal and party wear! The leather exterior, with a desirable gloss-finish, adds a touch of elegance to these pump heels. The pump heels are also attached with an adjustable foot strap feature, which offers custom fitting and improves your overall maneuverability. The Trotters Jamie is exclusively engineered for women who like to stay en-vogue and comfortable at all times. Thanks to the arch support feature, this pair of shoes eliminates any chances of flat feet problems. So you can stride confidently with these shoes on without having to worry about feet aches! Trotters Jamie takes special care of comfort and cushioning to the base of your feet. 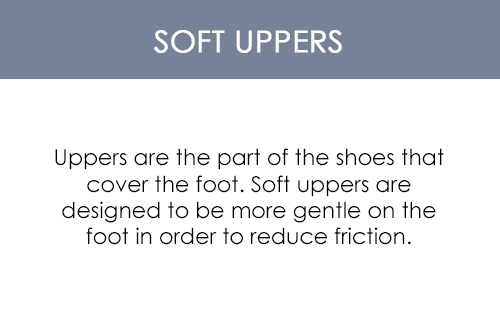 In addition, the footbed is contoured, which allows it to mold according to the shape of your feet and elevate your comfort levels.